Saturday, my friend Geri, who lives in Idaho, and I explored our lifelines in this reality to see what remains. Mine was short, meaning soon I will leave, but Geri's was a tiny bit longer, which we found very strange as she plans to 'leave' at the same time. And so we began to explore the lifelines of other people we know ... and as we did a pattern emerged. The pattern grew bigger and bigger until it became global and everything bleeped out of existence. As we saw it, when the program shuts down, those on the Atlantic seaboard, seem to leave first. Then like a giant wave harmonic sweeping across the hologram in a upward spiral, the rest of the souls emerge based on a geometric pattern set in motion at the beginning. Oddly those in the Ring of Fire appeared to leave last. I would have thought they spiral out first, but that is not the case as was shown to us, though it all happens almost simultaneously. 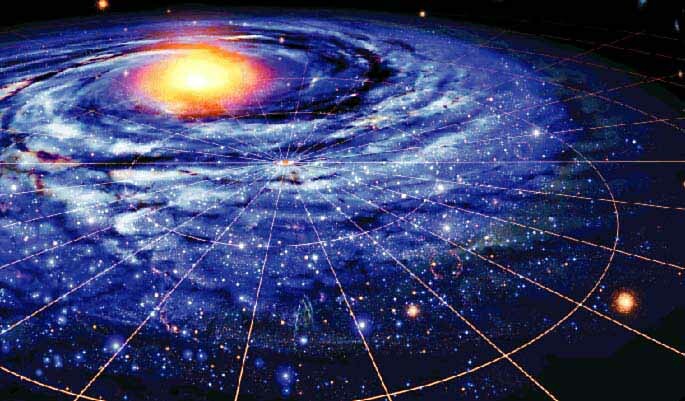 Quickly, everything in the grid returns to consciousness and light.